4 Cores, 1TB HDD, 8GB RAM > dreamhost.com, #37885, USD 209.00/mo. Plan #37885, 4 Cores, 1TB HDD, 8GB RAM, $ 209.00/mo. See also original 4 Cores, 1TB HDD, 8GB RAM plan location on their website! Over the past 15+ years we've enhanced our control panel to provide the power and control that dedicated hosting customers like you demand. 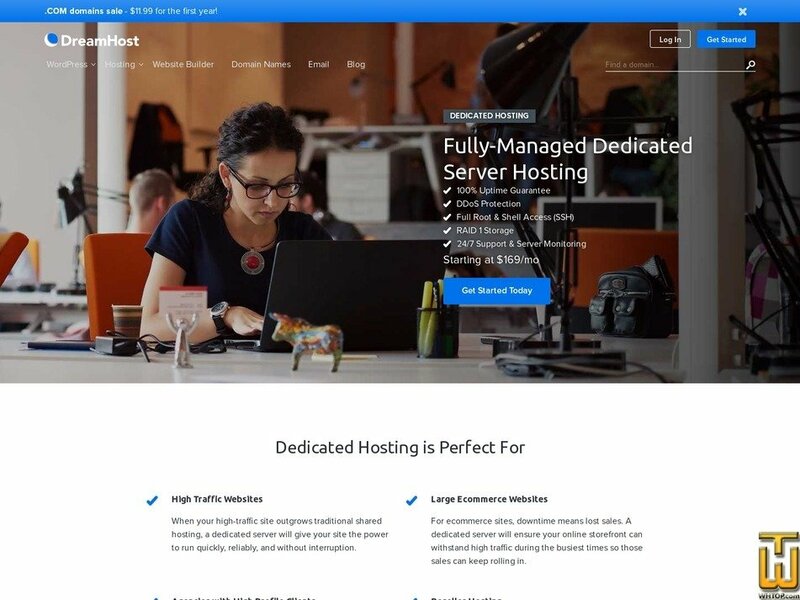 Add or remove servers, reboot or powercycle your server whenever it's needed and have complete management over all the domains, websites and email addresses you own. Our newest state-of-the-art facility is in Ashburn, Virginia that we call “Data Center Alley”. It includes 2N+2 power redundancy fed by two distinct utility substations and dual water lines for redundant cooling. There's a fast 1GBps internet connection and emergency generators on standby for technical security and multifactor identification, multi-level security zones and 24x7 staffing for even more peace of mind. Host with confidence in 3essentials owned and operated data centers. Each server includes 3 IP's.